What you need to know about Chimney fires. As you snuggle in front of a cozy fire or bask in the warmth of your wood stove, you are taking part in a ritual of comfort and enjoyment handed down through the centuries. The last thing you are likely to be thinking about is the condition of your chimney. However, if you don't give some thought to it before you light those winter fires, your enjoyment may be very short-lived. Why? Dirty chimneys can cause chimneyfires, which damage structures, destroy homes and injure or kill people. Chimney fires can burn explosively - noisy and dramatic enough to be detected by neighbors or passersby. Flames or dense smoke may shoot from the top of the chimney. Homeowners report being startled by a low rumbling sound that reminds them of a freight train or a low flying air plane. However, those are only the chimney fires you know about. Slow-burning chimney fires don't get enough air or have enough fuel to be as dramatic or visible. But, the temperatures they reach are very high and can cause as much damage to the chimney structure - and nearby combustible parts of the house - as their more spectacular cousins. With proper chimney system care, chimneyfires are entirely preventable. The air supply on fireplaces may be restricted by closed glass doors or by failure to open the damper wide enough to move heated smoke up the chimney rapidly (the longer the smoke's "residence time" in the flue, the more likely is it that creosote will form). A wood stove's air supply can be limited by closing down the stove damper or air inlets too soon and too much, and by improperly using the stovepipe damper to restrict air movement. In the case of wood stoves, fully-packed loads of wood (that give large cool fires and eight or 10 hour burn times) contribute to creosote buildup. Condensation of the unburned by-products of combustion also occurs more rapidly in an exterior chimney, for example, than in a chimney that runs through the center of a house and exposes only the upper reaches of the flue to the elements. To be installed in most jurisdictions in the United States, factory-built, metal chimneys that are designed to vent wood burning stoves or pre- fabricated metal fireplaces must pass special tests determined by Underwriter's Laboratories (U.L.). 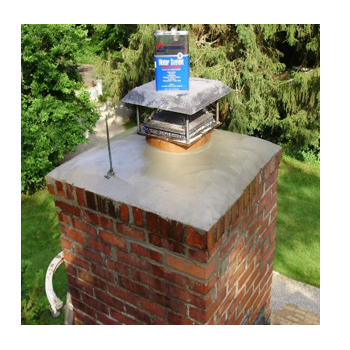 Under chimney fire conditions, damage to these systems still may occur, usually in the form of buckled or warped seams and joints on the inner liner. 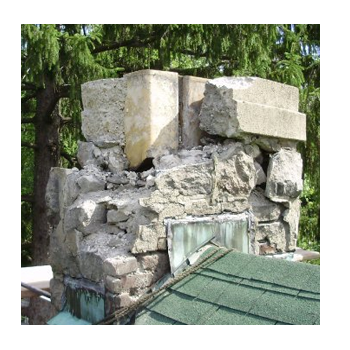 When pre-fabricated, factory-built metal chimneys are damaged by a chimney fire, they should no longer be used and must be replaced. Ways To Keep The Fire You Want ... from Starting One You Don't! Clean chimneys don't catch fire. 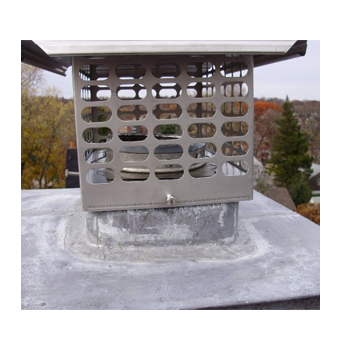 Make sure Mr.Chimney inspects your solid fuel venting system annually, and cleans and repairs it whenever needed. We may have other maintenance recommendations depending on how you use your fireplace or stove. We also recommend that you call on us as certified chimney sweeps, since we understand the complexities of chimney and venting systems. 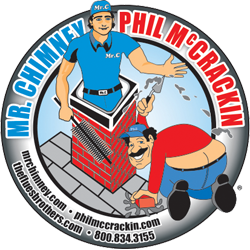 If you think a chimney fire has occurred, call Mr.chimney for a professional evaluation. If your suspicions are confirmed, we will be able to make recommendations about how to bring the system back into compliance with safety standards. 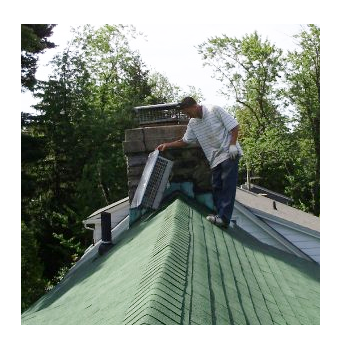 Depending on the situation, you might need a few flue tiles replaced, a relining system installed or an entire chimney rebuilt. Each situation is unique and will dictate its own solution.